Welcome to the Monster Cuts Lawn Care & Landscaping Blog! How important is irrigation to your lawn? You spend money cutting, trimming, edging and planting and you still don’t get the results you are looking for. Water is so important to your lawn and outside vegetation. Especially in Florida where the heat will do harm. Why do you irrigate? Irrigation does not have to be a full blown in ground system. Watering can be accomplished with a sprinkler as well. The best times to water are in the early morning or late afternoon. Consistency is very important so water regularly. Clients often come to us looking for answers to improve the appearance of their property. If the property hasn’t been properly looked after, it’s easy to spot the brown patches in the turf, dead tree limbs, and overgrown hedges. But where do you start if your landscape challenges aren’t so obvious? Maybe you just want a fresh look for your community or building. Maybe neighboring properties have made some improvements and you’re feeling a little left behind. Here are a few things to consider, if you’re thinking that it might be time to re-evaluate your property’s landscape service needs. For any landscape service provider to deliver the look you want, your property’s essentials have to be in good working order. Start with a thorough evaluation of your irrigation system. If your property hasn’t had a landscape service that performs regular preventative maintenance and system checks, your irrigation system may be a patchwork of quick fixes done by whoever could get there to repair it the quickest. Just as we can’t survive without water, your landscape isn’t going to make it long without regular irrigation. Getting your property’s irrigation system up to par should be priority number one. Once you have irrigation under control, make sure that your landscape service is providing appropriate fertilization and pest treatments to keep your landscape thriving and free from diseases and harmful insects. Regulations and requirements vary greatly by area, so be sure that your landscape service uses qualified, licensed technicians to apply your property’s fertilization and pest prevention on a regular schedule, and lets you know before your applications are performed. After you have secured water and your landscape’s health essentials, it’s time to move on to deciding where you can make the most impact for your property. Entryways are a great place to start. Whether you are managing a residential community or a commercial real estate property, your landscaping service dollars will deliver the largest impact when spent on your property’s entry areas. Annual flower arrangements can blow your landscaping budget if you’re not involved in the planning, but with some creative thinking, you and your landscape service partner will be able to create a plan that keeps your property’s entry fresh, season after season. Another great option for immediate improvement - create a new outdoor social area for your property’s guests. An ongoing trend in residential communities has made its way to commercial properties recently. No longer content with clubhouses or break rooms, people increasingly expect properties to offer outdoor gathering areas. You may have an area like this already, but could you add some natural color to draw people to it more frequently? Survey your property to find where people gather, then ask your landscape service partner to create some ideas to make these areas more appealing. As a green industry company, we think a lot about sustainability and the future results of our work today. Do you ever think about what your property will look like 10 years from now? Maybe even 50 years from now? It’s important to partner with your landscape service and put in place a defined program that revitalizes your landscaping in small steps each year. All plants, even perennials, have life expectancies that should be considered when you make decisions about how you maintain your property’s landscape. Established communities retain value when they keep themselves fresh and looking their best year after year. Your landscape service needs will change over time – make sure that you and your landscape service partner communicate regularly to prioritize your property’s landscape services for success. Once you've identified the areas of your property's landscaping that are most important to you, you can begin to think about setting your service expectations and communicating with your landscape service partner. Look for tips on setting service expectations in an upcoming entry. Summers in Florida can be brutal, with record high temperatures, and unusually prolonged periods of drought. These conditions, along with watering restrictions across most of the state, have wreaked havoc on lawns. Yards are dying because homeowners are afraid of getting fined if they water more than they are allowed. I find it ironic that people have no problem speeding 5-10 mph over the speed limit, but they abide by watering restrictions as if the penalty were jail time for not doing so. I believe watering restrictions are, in a very broad sense, good. However, in periods of extremely hot and dry weather, they are typically useless. Every yard is different, and this is where it becomes very hard to set a standard and expect everyone to abide by it. I have seen two yards in the same neighborhood growing in completely opposite conditions. One was growing in the shade, on low land, and backed up to a river. The other was on top of a sand hill, in constant sunlight. As you can imagine, the yard on the hill dried out quicker and required much more irrigation water to stay alive. Option 1 (follow the rules): Homeowner 1 follows the rules by watering twice per week. However, due to the high temperatures and drought, the yard suffers. 3-4 week stretches with no rain and 95+ degree days takes it toll. As if that’s not bad enough, Grey Leaf Spot fungus appears, the yard gets mowed one day when it is stressed, and it causes streaks in the yard to die. Although it is being sprayed with insecticide by a very reputable lawn spraying company, the yard gets chinch bugs because the insecticides which usually last 8-10 weeks are crystallizing and breaking down in as little as 2 weeks. The homeowner calls the lawn spraying company angry that they just paid to have insecticide applied, but still have chinch bugs (not to mention, the homeowner believes the streaks are chinch bug damage and blames it on the company). The lawn spraying technician advises the homeowner that the yard needs more water, and, being a reputable company, they agree to respray the turf with more insecticide. This costs the company money for the chemical and labor. They inspect the control 10 days later and find a few chinch bugs, so they do a second retreat (more $ out of the company’s pocket). Somewhere around this point, it rains two or three times in a two week period. Some of the yard improves a little, but the Gray Leaf Spot fungus is still there because of the stressful weather, and the previous chinch bug damage is still there. A few more weeks go by with no rain, and there are chinch bugs in the turf again. Now the homeowner is extremely mad at the spray company, despite the fact that they company did everything in their power to control the chinch bugs. The yard is sprayed several more times throughout the summer, but the overall condition gets worse. At the end of the summer, the homeowner may or may not be on good terms with the spraying company, but they pretty much realize the lack of water played a large part in how the yard looks, whether they want to admit it or not. Now it’s time to replace the dead areas in the yard. If we assume half the yard is dead, there is 3,000 sq-ft of turf that needs to be replaced. Because many people are in this same boat, the price of turf has gone up and it now costs the homeowner approximately $900 for turf (not including delivery). If they choose to have someone install it for them, it will run about $1500 for everything. Now comes the ironic part. That new sod has to be watered twice a day for about a week (approximately 14 times), or until it gets rooted (it could take longer than a week). Lucky for the homeowner, the watering restrictions do not apply to new turf. However, if the purpose of water restrictions is to save water, they’ve failed. The homeowner could have watered an additional day each week for 12 weeks during the summer and would have used the same amount of water. Or, they could have watered three days a week for 4 weeks, plus four days a week for the worst 4 weeks of the drought and used the same amount of water (12 additional watering cycles). On top of the water Homeowner 1 did not save, they have spent $900-$1500 on new turf, have a few more gray hairs, and the lawn spraying company has either broken even or lost money on the account. They hope the homeowner will stick with them and maybe they can make a little money next year. Option 2 (Use the necessary amount of water): Homeowner 2 is not as worried about following the rules. They have their irrigation timer set to twice a week, but they manually turn it on to water an extra day whenever the grass begins to show signs of drought stress (folded blades and a grayish tint). Although they would rather only water twice a week (water costs money), they look at the bigger picture. Because they stay on top of the watering needs of their grass, it remains healthy all summer. The grass never gets severely stressed, so there is no Gray Leaf Spot. There is always adequate moisture in the soil, so no chinch bugs. The homeowner goes through the summer with one of the better looking yards in the neighborhood. They are happy with the spraying company, and the company is proud to put their sign in the yard after each treatment. At worst, there may be a small spot that wasn’t being covered good by the irrigation, or was next to concrete that caused it to get hot and dry out. This small spot may need a couple pieces of sod to fill in (approximately $1-$1.50 each). In the end, Homeowner 2 came out far ahead of Homeowner 1. Not only monetarily, but also in water consumption. I am in no way advising that everyone break the watering restrictions. I am only saying that the restrictions are in no way “one size fits all”. More water and money can be saved if everyone takes an educated approach to watering their lawn. There are a number of ways to help conserve water, such as rainfall shutoff valves, or soil moisture meters for your irrigation system, there are sprayable products that claim to hold moisture in the soil and prevent it from leeching, or evaporating. You have to figure out what works for you, under your budget, and with your beliefs towards rules. 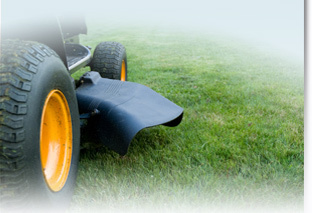 For any Lawn care help visit www.monster-cuts.com or call 407-365-1119. Here we are starting into summer 2013, and it’s another abnormal year for weather! As you remember, we had a very hot and dry summer in 2012. This posed a lot of problems with lawns, and we were all hoping for a more normal year for 2013. Well, we didn’t get it. However, it has been much better than last year. We started out with a very mild winter in Florida which has transitioned into a very, very dry Spring. It was alarmingly dry, and most people were beginning to worry that it may turn out to be a worse year than 2012, with respect to the lack of water, and the problems that arise from it. Fortunately, we have been receiving plenty of rain ever since the end of April. It seems we started receiving the rain just in time, because the summer hasn’t fully ramped up yet, and only a small number of Chinch Bugs have been noticed. With the use of insecticides, and the quantities of rain we have been receiving, Chinch Bugs shouldn’t be too much of a problem in the near term. In between storms, however, it is important to turn your irrigation systems back on. A lot of people forget to do so once the rain stops, and only remember when they start getting dry spot in their yard again. With the amount of rain we have received, and if we continue to get a lot, Armyworms and Sod Webworms are more likely to become a problem as the year goes on. Remember, Chinch Bugs love dry turf, and Armyworms/Sod Webworms love moisture. You can get a jump start on them by applying regular insecticide treatments to your lawn. There have been a lot of changes lately with insecticide effectiveness, so I highly recommend using a qualified lawn spraying company. If you are the type of person who likes doing things yourself, just be sure to talk with someone knowledgeable when you buy your chemicals. What once provided excellent control, may only give you marginal results at best. Tip: Home Depot and Lowes are not the places to get your chemical info from! I cannot stress this enough. Until next time, enjoy the rain and keep an eye out for fungus and weeds in your lawn! If you need further info on maintaining a lawn, check out http://www.Monster-cuts.com or give us a call at 407-365-1119. As your Full Landscaping Service provider, we are always looking for ways to make properties more attractive to homeowners and visitor. For this reason, we want to explain how important mulching service is. If you are interested in this service, please let us know. We are able to bring you the best rate and we can assure that your home or commercial property will look great. Mulching is one of the best things we can do for your landscape property; and for anyone wondering what mulching is, it is the act of placing a protective barrier (mulch) around the plants. This protective barrier can be made up of a variety of organic materials including bark or wood chips (from various tree species), pine needles, straw, and even cocoa bean shells. The advantages of mulching are vast, but we will just talk about 6 of the biggest advantages. Weed Control Through the use of mulch it can limit the amount of weeds that tend to spring up in the open spaces of your garden, because the mulch acts as a barrier, limiting the amount of sunlight that can find its way to the weeds. Retain Moisture Retaining moisture, especially during hot, dry seasons can not only help out the plants, but it can also help out water bill. Prevents soil erosion- Mulching not only keeps existing water trapped in the soil but it also keeps rain water from washing away soil. It does this by breaking the fall of the water and therefore lessening the force when the water impacts the ground. Maintains Soil Nutrients No only does mulch keep soil nutrients from being washed away with the rain, but it also can release nutrients into the soil. This happens as the organic material slowly decomposes on top of the soil. Pest Control Using certain types of mulch, such as cedar bark, can deter certain pests due to the fact that the cedar bark has natural oils that act as insect repellant. To reap the full benefits of this, be sure to find mulch that is very fragrant, as it will have the greatest affect on insects. But be warned, some mulches can encourage insects to flock to your garden and sometimes your house, so be sure to research which type of mulch will best suit your needs. Encourage Earthworms to Move It Using organic material for mulching can encourage earthworms to occupy your garden soil. And as any good gardener will tell you, earthworms help improve soil structure and nutrient cycling. Mulch can give a garden a finished look by filling in the empty spaces while being one of the easiest fillers to maintain. While grass and other fillers may take extensive care, such as mowing and watering, as well as competing for resources with garden plants, mulch is easy to care for and never competes with the other plants If this is something you think would be of use to you, give us a call at 407-365-1119 or contact us at www.monster-cuts.com. Alternatively follow us on twitter @monstercuts1. A relatively new species of thrips ~ ~ Chilli Thrips Scirtothrips dorsalis Hood ~ ~ that attack a wide variety of plants in Florida are becoming more prevalent. Some of their favorite plants are: Begonia, Citrus, Hydrangeas, Ornamental Sweet Potato Vine, Indian hawthorne, Snow Bush, Azaleas, Camellias, Golden Dew Drop, Verbena, Crape Myrtle, Geranium, Coleus, Variegated Pittosporum, Plumbago, Marigold, Victoria Blue Sage, Viburnum, Roses and many varieties of vegetables to name a few. Unlike the common thrip, Chilli thrips can be found on the axils of leaves or curled leaves and leaf litter. Affected plants will have brown and/or rolled leaves and distorted flowers. This is a tough insect that can do a lot of damage very quickly. Infestations are easier to control if you discover them early and treat immediately. Fortunately, there is a product called Conserve Naturalyte which contains Spinosad, a naturally occurring soil dwelling bacterium that can be used to control the thrips. Remove all damaged flowers and apply the product only as needed as it can be toxic to bees until it has dried. Otherwise, the product has shown very low toxicity levels to other critters. Natural enemies include lacewings and ladybug beetles. Good luck in treating infestations should you discover any on your plants or vegetables. Give Monster Cuts a call for all of your lawn needs and have a great looking yard for the spring and summer 407-365-1119. The waxy glossy green leaves of dollar weed present themselves just above and horizontal to the mowing plane of the lawn – making dollar weed one of the most visible and noxious weeds in a St Augustine grass lawn. But that highly visible leaf is only a small part of the problem because dollar weed lives primarily below ground - about 90% of the plant is below ground. There in lays the problem with controlling dollar weed – most of the plant is below ground. So, killing the leaf does little to control the plant! Widely available Herbicides used to control dollar weed in lawns are ineffective and potential lawn killers if not applied correctly. The reason such products fail to work are twofold: First the products are weak and watered down formulations and second the below ground parts of dollar weed are resistant to herbicides and capable of repopulating a lawn in a short time. In other words these watered down consumer products simply knock the tops off and leave the below ground roots and stems unharmed. Weed and Feeds uses atrazine, a great herbicide for dollar weed control if used properly but has two major problems: regulations have reduced rates to below effective levels and if atrazine is applied when temperatures are above 85⁰F it will kill a St Augustine Lawn. So you can only apply atrazine during the winter and spring and the dosage - set by law – is so low that the dollar weed often escapes the treatment. Most Weed and Feeds are more "smoke and mirrors" than true dollar weed control – the fertilizer turns the St Augustine brilliant green so the lawn "appears" to have fewer weeds. St Augustine grass is very sensitive to 2,4D compounds used in common herbicides. These products are listed as "spot" treatments are not intended to be broadcast over the entire lawn. They work great for one or two dollar weeds scattered in a lawn. However rarely does anyone have just a "weed or two" to treat and treating the entire lawn will result in a dead lawn. Dollar weed causes dollar weed – not water. Nearly 90% of the plant lies below ground and out of sight. The plant forms a mass of underground stems and roots capable of withstanding drought or floods. Each underground stem is capable repopulating your lawn when conditions permit. So cutting back on the water only stresses your St Augustine grass lawn and does not stop dollar weed from growing in your lawn. Persistency, consistency and Manor herbicide are my best methods and tools to control dollar weed. A persistent "never give up attitude" is required when the dollar weed seems to reappear after each application. Repetitive consistent effort is the only way to defeat the below ground roots and stems and keep them from repopulating your lawn. And with St Augustine grass the safest most effective herbicide is Manor – it is expensive, it is slow, it is difficult to apply but is effective herbicide for dollar weed and safe to use on St Augustine grass. If you want to control dollar weed it will take an investment of persistent, consistent effort and money using Manor herbicide. The alternative is to hire a pro to spray your lawn on a regular schedule with Manor. Treating the lawn every 8 weeks is a minimum and once a month will give very good results – keeping dollar weed out of sight and possibly eliminating it from your lawn, but not your neighbors. There are two main types of automatic lawn sprinkler systems widely used today. The first and considered 'simpler' method is the use of a dial-type timer and an indexing valve that distributes water from the mainline to separate zones. The second and slightly more complex is the use of a digital timer and electric valves (this is the type that we install brand new). Both types of systems require some electrical wiring that may involve high voltage and low voltage connections. An index valve is typically a green or round or circular shaped, black or green colored device that can be either metal or plastic. The index valve has a side inlet where the main water is connected from the water source such as a pump and then often has either 4, 6, or 8 pipes coming out vertically out the bottom and in the ground to the sprinkler zones.The most popular brands of index valves that I see are Hydrotech's and Fimco. The Hydrotech 4000 has 4 outlets and can be modified with a cam to run on 2, 3, or 4 zones. There are also other models which have 6 & 8 outlets and can be adjusted to run the proper amount of zones. The timer for an index valve is normally the "dial type" timer like a Hydrotech 2120 or equivalent. This type of timer has a built-in pump start relay which sends power to the sprinkler pump, which in turn delivers water to the index valve. Water flows through one of the pipes coming out of the index valve and to the sprinkler heads on that zone. When the power to the pump stops, the stem & disc in the index valve switches to the next zone and when the pump receives power again, then water will come out of the next zone. As I mentioned, the index valve type system is much simpler. The timer has power in from the circuit breaker and power out to the pump. A Hydrotech 2120 has approximately 220 volts in and 220 volts out to the pump. A Hydrotech 2110 has 110 volts in and 110 volts out to the pump. There are also a few other models such as a 2114 that takes 110 volts in a sends out 24 volts to a low voltage electric valve like the one used in digital timer/electric valve systems. An electric valve system with a digital timer uses a 110/120 volt timer with a transformer which reduces the voltage so that the timer/controller can send out approximately 24 volts to the electric valves on the sprinkler system. Each zone will have its' own electric valve. The valves will normally be installed in either their own 6" round valve box with a green or black lid, or you may find a set of multiple valves, such as 4 or 6 valves, sharing a larger 12" rectangular box with a green or black lid. Reclaim water (recycled waste water) systems should have purple colored valve box lids. The digital timer will send out about 24 volts to a particular zone when the timer is programmed to do so. The electric valve has a solenoid which helps a little device become magnetized and in turn, lifts a plunger in the valve, which then opens the diaphragm and then allows water to flow through. When the electricity stops, it becomes de-magnetized and the diaphragm closes, which stops the flow of water to that zone. The solenoid has two individual wires coming out of the top of it. In most residential and some commercial sprinkler systems, a multi-strand type wire is used to connect the timer to each valve. The outside will be a black insulation and sort of resembles a cable or phone line from the outside. Inside the black insulation there will be multiple, single strand 18 gauge wires. Sprinkler system multi-strand wire typically comes in 3, 5, 6, 7, 9, and 13 strands. You will at least need one more strand than the number of valves that your system has. To clarify; For example if your sprinkler system has 5 valves, then the system will need at least 6 separate strands. This is one unique "hot" wire for each valve and one "common" wire that all the valves share. Most irrigation contractors use either white or green for the common (I've always used white). The common wire is sort of like the negative and is shared between all the solenoids on the valves. To run independently, each valve will need to have it's own unique wire connected to the other lead or wire on the valve's solenoid. At your digital timer you will see something like "station" or "zones"...or maybe even numbers like 1,2,3, etc... These are where the "hot" or unique wires for each zone will be connected. You'll see another terminal labeled "com" or "common". This is of course where your shared, common wire will be connected. If you see "MV" labeled on one of the leads on the timer, this stands for "master valve" and is mostly used to power pump-start-relays on systems with wells & pumps. Many city water or pressure tank system's don't use the "MV" terminal, but there are those that still do because of an actual master valve is being used. If a master valve is used on a city or pressurized water system, this valve will have to be functioning correctly at all times, or it will not allow water to pressurize the mainline so that any of the other valves can get water. Each winter our northern friends can look forward to the advent of winter snow frosting their yards - signaling an official time-out on neighborhood lawn care competition. Unfortunately, here in Central and South Florida, that great green lawn tournament game- clock keeps running. And we press on - pesticiding, fertilizing and herbiciding. And we continue - mowing, irrigating and cultivating. And that *^%#! grass across the street always remains greener! In following short report, as lawn care professionals here is a basic breakdown on Florida turf suggesting how to grow, mow and maintain a healthy, lush lawn the easy way this winter. Grass – What Is It Good For? Though some strict conservationists trash lush green lawns as expensive natural resource hogs, they are actually a natural provider for our ecosystem. According to the fine folks at Monster cuts, a healthy, dense lawn absorbs rainfall six times more effectively than a wheat field, four times better than a hay field, and prevents runoff and erosion of top soil. A lawn’s root mass and soil microbes act as a filter to capture and breakdown many types of pollutants purifying the water entering into underground aquifers. Also, a well-maintained lawn provides a natural welcome mat to your front door, frames and defines your property, provides a suitable restroom for your poodle and best of all, gives you a solid reason to buy that big, bad tricked- out riding mower. The experts at monster-cuts.Monster Cuts say a lawn should be considered a long-term property investment, and that your choice of a grass should reflect what you desire and can adequately maintain. Since maintenance levels differ between the lawn grasses commonly used in Florida, it is important to select the correct grass for the type of yard you desire. Leaf textures may be coarse, medium, or fine. The choice of texture is merely a visual preference unless the grass is important for a sport such as golf. Most southern lawn grasses are coarser in leaf texture than those grown further north. This is especially true of the three most used lawn grasses in Florida -St. Augustine, Bahia and Centipede. Turfgrasses vary in their ability to withstand conditions and stresses. For example, a Bermuda or St. Augustine lawn will not perform well in a site that does not provide irrigation during dry times. Bahia and Centipede grasses have good drought tolerance and can survive extended dry periods without irrigation or rainfall. In many coastal areas, turf can be subjected to salt stress from irrigation water, saltwater intrusion, or salt spray. Most grasses will not grow well in this type of environment, but Seashore Paspalum thrives in a salt-affected site. Although shade from trees or buildings is common in most landscapes, turfgrasses vary widely in their shade tolerance. Both St. Augustine grass and Zoysia grass have good shade tolerance compared to other warm-season grasses. Wear tolerance is a measure of how well a grass continues to grow after being walked or played upon, and can determine whether or not a grass will be able to survive in an area of moderate traffic. Seashore Paspalum, Zoysia, and Bermuda grasses all have good wear tolerance. All of the varieties have their own specific pest problems that could limit use in certain locations. Consult your local lawn expert for correct pest remedies. Proper management practices can help keep most pest problems to a minimum. It’s all about cost and time, with high-maintenance turf costing the most and taking the most time to maintain. It is important to realistically assess your ability to maintain your lawn, whether you do the work yourself or pay to have it done. Turf at a low level of maintenance is fertilized two to three times a year, and mowed as needed. High-maintenance turfgrasses may receive monthly fertilizing and twice-per-week mowing as well as an increased incidence of insect or disease problems particularly during the summer months. Mowing requires a certain skill. First of all you know need to how high to cut the particular type of turf. For most lawns, scalping the grass is not the best way to go. Mowing it too close causes shallow root growth. A University of Florida study showed a long time a go that the taller the blades the deeper the root system. It's best not to remove any more than one-third of the leaf blade at any one time. Tom MacCubbin host of the Florida’s "Better Lawns & Gardens" radio program and editor of www.betterlawns.com advises Florida homeowners to try and relax over the winter months and reduce their mowing to every other week in most cases. If the grass turns slightly yellow during these cooler months a light feeding could be applied. He suggests a `winterizer' type product or a 16-4-8 fertilizer at half the normal rate. Where needed, a weed control treatment could also be applied but most weeds are mowed away, according to MacCubbin. If you mow often enough don't catch the clippings. They return lots of nutrients back to the ground The growth habit of each turfgrass determines the mowing height for the best quality turf. Mowing turf below the recommended height can stress the grass and subject it to invasion by weeds, insects and diseases. Mowing at higher heights results in increased leaf surface for more photosynthesis, deeper root systems, better drought tolerance, and healthier turf. Monster Cuts agree that folks should simply relax and drop their lawn maintenance schedule into low gear during the cool winter months. “ Don’t over -water, over fertilize or over- cut the grass. Don’t obsess over the lawn”, says David of Monster Cuts. So take the expert’s advice - swap out that riding mower for a golf cart; get off the lawn and onto the greens. Recommended heights for most Florida lawn types. August is one of Florida's hottest months. The wise Florida Gardener will spend most of his or her time inside in the air conditioning or sitting in the pool sipping iced-tea or maybe something a little stronger! If you do decide to venture outside there are some things that will need to be attended to in the garden. Pest control is one of the top priorities. Look out for and be ready to control ants looking to make their way into your dwelling, sod webworms, mole crickets and chinch bugs intent on gobbling up your lawn, scale insects sucking the life blood out of your fruit trees and ornamentals, and aphids massing on the new growth of your citrus. 1. The most cost-effective way to find irrigation valves is to estimate the irrigation valve location, and probe the soil gently in that area. This is not recommended unless one is sure that the lawn irrigation valves are protected by a valve box. Otherwise, probing the soil may result in damage to the solenoid, the valve wires or the irrigation system pipes. 2. Another way to determine lawn irrigation system valve location is to check with the local city permits department. Often, the irrigation system permit application includes an irrigation blueprint, which should indicate the irrigation valve location. 3. In automatic irrigation systems, a third way to find lost valves is to follow the wires from the controller. The wires run alongside the PVC pipe to the irrigation valve location. Dig small holes every ten feet to trace the wire. Be careful not to cut the wire. It is helpful to note that buried irrigation valve wires rarely run under driveways. Sometimes this location method will find the buried lawn irrigation valves. Again, one can dig up a large portion of the lawn while trying to locate irrigation valves. 4. An alternative method of sprinkler system valve locating is to buy or rent a solenoid activator, or "chatter" locator. This device prompts a noise, or chatter, from the solenoid. It allows the user to locate irrigation valves by listening for the chatter. 5. Ask a helper to tap the valve wire onto the test post on the irrigation controller. Test at five to ten second intervals. Listen for a faint click from the solenoid, or the sound of water as it starts rushing through the valve. Minimize background noise by testing at night or early in the morning. 6. Turn on the zone in question, and note which sprinklers are the first to pressurize. These are the sprinklers closest to the irrigation system valve. 7. Should you not feel confident of finding your valves, simply contact Monster Cuts, we specialize in this type of work and quickly find your lost valves and carry out any and all repairs that may be required. Again, I hope this is of some value. More irrigation instructions and sprinkler system help articles will be posted, please check back regularly. As always, please help preserve our water resources, and irrigate responsibly. Should you be unsure about your irrigation give us a call on 407-365-1119 or visit us at www.monster-cuts.com. You can have a lawn that is attractive, gives a nice walking surface, and cleanses the air around your home if you fertilize it with the right formulas. You should fertilize your lawn every year, as it is important to maintaining a healthy lawn. Fertilizing your lawn is easy to do and it will ensure that you keep it looking great. You can also contact Monster Cuts for expert lawn care and fertilizer advice! Here are some steps you can take to improve your Orlando lawn care. To meet the needs of your lawn you need to time fertilize it. Let your lawn grow greener and mow it a couple of times before you fertilize it in the spring. Pick a fertilizer that is specifically made for the type of grass you have in your lawn. You can make sure you pick the right fertilizer by talking with an expert at a nursery or home improvement store. Make sure you read the label on the fertilizer to find out how often you can apply it to your lawn. If you have sod, seed, or a sprigged lawn you should use “new lawn” or starter formula type fertilizers. These types of fertilizers can thicken the grass in your lawn giving it a fuller and more attractive look. If you lawn is more than 2 years old use slow release granular complete fertilizers. This type of fertilizer will give your lawn constant nutrients during the time when your lawn is growing fast. Try not to use fertilizers that have only one ingredient, such as potassium or nitrogen, unless you have a soil test performed on your lawn and it shows that you need to use one-ingredient fertilizers. Either purchase or borrow a fertilizer spreader and know how to calibrate it for your lawn's fertilizer. Walk the spreader around your lawn and make a pattern that will ensure that you cover the entire lawn only once. You should be aware that water-soluble fertilizer will not last for a long time in your soil. Because of this you need to reapply it, as directed on the label of the fertilizer. Spray your lawn covering the entire lawn only once to avoid overfeeding your lawn. Fertilize your lawn at least one more time in when it is during the growing season. If your lawn type is one were a fall feeding is recommended apply some winter fertilizer in the early fall. If you forget it is no big deal, as once a year is still enough for a lawn that is established (over 2 years old). If you fertilize a lawn that is very dry it can stress the turf. If you spill any of the fertilizer on other plants make sure you flood the area right away, as turf and other plants can become damaged with certain types of fertilizer. Time for the Fall Clean up! The time is almost upon us when those dreaded leaves fall. Give Monster Cuts a call to help clean those messy looking leaves up or take care of any of your lawn care needs. You need to also check your sprinkler systems and make sure they are working properly, the rain has slowed up lately and some of the lawns need more water than they did during the rainy times. If you have any unwanted stumps in your yard give us a call we can remove them as well. Monster Cuts has provided quality service of irrigation systems for Orlando, FL and the surrounding areas for over 7 years. Give us a call for your free estimate today. We also offer lawn maintenance in Kissimmee, Davenport and most Seminole County areas. As you already know, your irrigation system requires routine maintenance to keep running in prime condition. While once or twice a year may be sufficient for many systems, I recommend servicing your system four times a year, pretty much in line with the seasons. As we are now in the beginning of Fall or Autumn, now is the time for a check-up. The maintenance duties of your fall sprinkler system check-up are identical to what you do in the spring, unless you live in a northern, freezing climate. In southern and warm climates your lawn and landscape can stay growing year round. Your lawn may go slightly dormant once we get into the winter months, but it still needs water. No matter where you live, you should decrease the watering time and amount of water that you apply to your lawn and landscape in the fall. The sun is not as intense, thus your landscape will require less water. The amount of time that you can decrease your watering schedule will vary depending on several different factors, but a good rule of thumb is to decrease it about 30%. You can add or subtract from this depending on your individual situation. If you're not sure than I would start out at decreasing it 25% and then monitor your lawn and adjust as needed. As you do with any other maintenance check-up you will check for breaks, adjust sprinkler heads, unclog nozzles, replace broken heads, and adjust the watering time. Other than just decreasing the run-time you will want to start your system to start an hour or two later than in the summer because of Daylight Savings and because the sun is coming up later naturally. Remember, a little bit of maintenance can go a long way in the efficiency of your sprinkler system. So what is the difference between rotor sprinkler heads and spray sprinkler heads, other than the obvious fact that one turns and the other does not? Well, rotors do turn and also cover a larger area. Since they rotate, they have a lower precipitation rate than sprays which means they apply water at a slower than a spray. Generally a rotor will take three times (3X) as long to water the same square footage as a spray head. So basically it would take 45 minutes to put down the same amount of water that a spray head would put out in 15 minutes. Rotors are great for larger lawn areas. With that being said, spray heads have a higher precipitation rate than rotors. This is mainly because they stay fixed and do not rotate or move. However they generally do not cover as big of an area as rotor heads do. Sprays are great for smaller lawn areas and shrub/flower beds. Rotors will put out water an average of thirty feet (30ft) which can vary a few feet either way depending on nozzle type and system pressure. Spray heads throw water a range from four feet (4ft) to fifteen feet (15ft). There are nozzles that throw eighteen feet (18ft) but are not used as often as the others. The most common nozzle sizes used are probably 10', 12', and 15'. The footage refers to the radius of the throw. So a 15' full circle would actually project water a 30 foot diameter. Rotors are usually adjustable from 0 to 360 degrees. Sprays have nozzles that come in fixed patterns such as 1/4 (90 degree), 1/2 circle (180 degree), 3/4 circle (270 degree), and full circle (360 degree). There are also nozzles that are adjustable from 0 to 360 degrees which are good for certain situations such as on driveways along curves. However I don't really care too much for the adjustable pattern nozzles because they always seem to get clogged easily and their spray pattern is not as nice and neat as fixed patter nozzles. Both spray heads and rotor sprinkler heads have their place. A properly and professionally designed Monster Cuts irrigation system will normally have a combination of both (not on the same zone) to provide adequate, even water coverage. Question: What type of grass is best suited to our Orlando area garden? How is the property currently being used? Is there a view you wish to hide or enhance? How do you feel about lawn care and mowing? These are the basic questions you need to answer prior to deciding on turf variety. See the Monster Cuts Orlando Lawn Maintenance page to learn more about how to better care for your lawn after it is installed. The Monster Cuts Lawn Care experts were recently asked by a Kissimmee, Florida, customer how often they should fertilize their lawn in the summer. We recommend every 6-8 weeks. Just be sure your lawn is getting an inch of water a week. If you are interested in having a highly qualified and efficient company handle your Lawn Fertilization, check out our maintenance page. Question: My sprinkler head leaks at the top. What should I do? Answer: With the sprinkler head watering, gently push down on the stem to flush out debris, stuck between stem and cap. If this does not work, the cap may be worn and the head should be replaced. If you have an irrigation repair you can't handle on your own, please visit the Monster Cuts Irrigation page for more information on getting your system back up and running.